The tourism sector has recently been involved in a new philosophy that has transformed the way of understanding business management. The new technological developments such as big data, IoT, advanced analytics or the digitalization of processes are helping to revive the tourism sector as a whole. 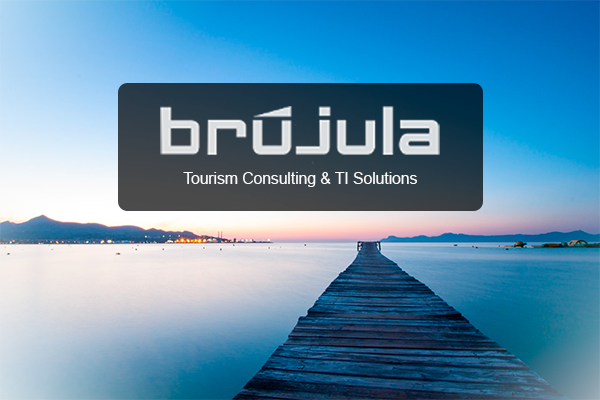 At Grupo CMC, we are committed to being an active part of this transformation through a highly specialized division, such as Brújula. We incorporate innovative services with high added value. We promote innovation in implementation processes, management and evaluation of processes. We have a great team of experts at your disposal. We work with large organizations, both nationally and internationally. We are in a position to offer a service integrated with the maximum guarantees. We apply big data and advanced data analytics to the tourism sector. We promote smart room development. We bet on the creation of synergies and a multi-channel collaboration. We focus on the real needs of our customers. We provide added value in both knowledge and products. WE WORK ON strategic and branding projects. WE PROMOTE the digitalization of channels and media. WE PROVIDE cloud solutions and agile services. WE OFFER consulting services applied to the touristic sector. WE HAVE the necessary means for the provision of infrastructures. MULTI-SECTORIAL advisory on the application of ICTs adapted to your objectives. WE APPLY the best assets for the development and promotion of the territory. an individualized added value from the proximity with the client. you our greatest resource: a team of highly experienced professionals. for excellence also through small details. at your service our expertise in the national and international field. our own solutions that allow us to adapt to the particularities of your business.